Skooter Camp Magic at Cypress Mountain! There is plenty of winter left and the snow just keeps coming! It’s time to get out on the slopes with your family! “Teach a kid to ski and you will have winter fun for years to come.” Sounds easy enough but so often it can go off the rails. Tempter tantrums, whining and frustration can get the better of a parent trying to balance kids of different ages and abilities while keeping everyone happy & safe. Let your child’s first skiing or snowboarding experience be a magical one! 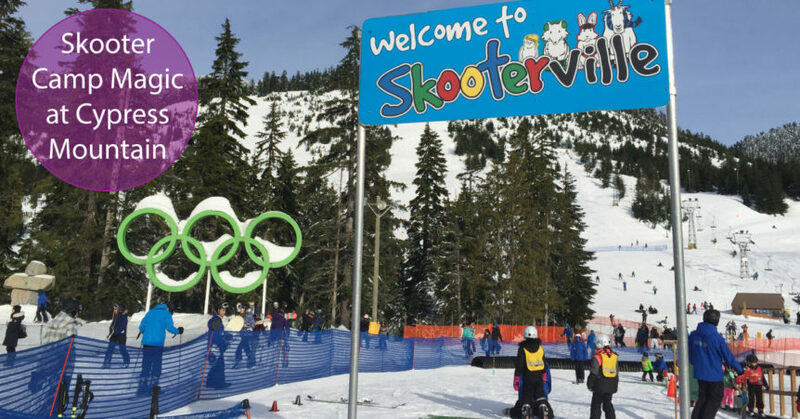 Cypress Mountain Skooter Camps are for kids aged 3-6 and are taught by the most friendly, energetic & skills instructors who know how to bring out the best in every kid. They will develop skills that will last a lifetime. Before you know it you will be skiing or snowboarding beside your little ripper marveling in the active winter day that you can spend in each others company. Child Group Lessons (with no more than 6 kids per instructor) are a great choice for kids 7-12. 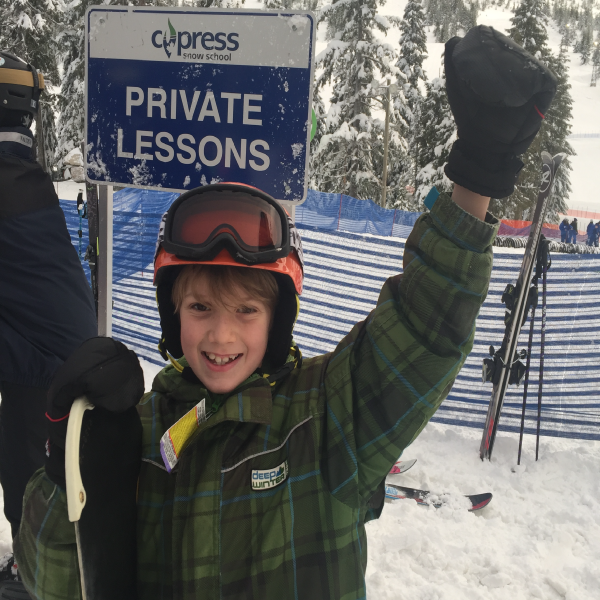 For the older kids wanting to get a jump on the learning curve, private lessons at Cypress Mountain are simply amazing. Our little snowboarding dude had never stepped on a board before and in 3 short hours with Mike (the coolest instructor in the history of snowboarding instructors… or so we were told), he was getting on & off the chair lift, moving & stopping with control and feeling like the king of the world. Click here to find out more about downhill lessons and all the other fun to be had at Cypress Mountain. Thanks Cypress Mountain… We love it up here! Have you booked tubing at Cypress Mountain? Metro Vancouver Summer Day Camp Guide 2018 Kids Can Shred: Snowboard & Ski Lessons at Cypress Mountain!